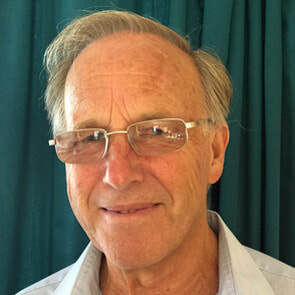 Peter, who joined the council in 1994, is our longest serving councillor. He first moved to Yettington in 1952 and lives there with his wife Sue. After leaving the Merchant Navy, he started work in farming but kept up his military involvement by serving 18 years in the TA as a signaller driver in the Royal Engineers section. During his time as driver, Peter had the honour of taking Major John Howard (who stormed the Pegasus Bridge in Normandy in 1944) to the opening of the replacement Pegasus Bridge in 1994. His main hobby is rallying, as a navigator, and has won the South West Championships a record five times and won over thirty rallies outright. 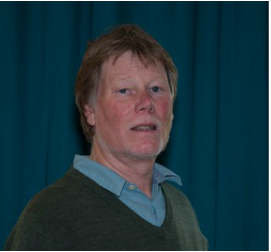 Peter has lived in Yettington all his life; he knows about the village and cares about the area. Peter is your contact for Recreation issues along with Mike Smith. I’ve lived in Devon all my life, born in Brixham 1962 moving around the county finally making Yettington home in February 2012. Since the age of 16 I have worked within the public sector, beginning my career in the Royal Navy. Upon leaving, I retrained as a support therapist obtained a two year Person Centred Counselling Diploma which lead to a post within Plymouth NHS working within a unit stimulating adults with challenging behaviour. In 2001 I left this role to pursue a career in the Devon and Cornwall constabulary, which I proudly served for 12 years, my last position being a Neighbourhood Beat Manager at Teignmouth, which entailed interaction with the local village parish councils and residents. Married to Maggie for 26yrs, we enjoy the outdoor life that East Devon offers as well as travelling to far flung places immersing ourselves into the local cultures. Local community issues are important to me, since the move to Yettington I served 3 yrs as a committee member for East Budleigh community shop & still continue to do voluntary shifts within the shop. More recently I became part of the flood resilience group overseeing Yettington & I’m now looking forward to being an active member of the parish council for the good of the community. Chris was born in Japan, and lived there on and off for 20 years or so while first attending school in Lancashire and then studying at the University of Kent. He started his working career in the NHS in biomedical engineering, and then moved into Information Technology for manufacturing industries. As time progressed, Chris worked in a variety of management roles and served on the Board of several companies. In 2012, after working in the US for 11 years, Chris retired, and with his wife Romy, moved to East Budleigh. Chris is a keen golfer, and among other hobbies, enjoys photography, travel, and playing snooker. His wife Romy enjoys knitting & craft, gardening, and is a volunteer assistant in the Community Shop and at Drakes school. 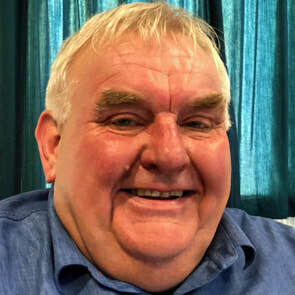 Having joined the Council in November 2017, Chris is looking forward to helping to understand and communicate the views, needs and aspirations of residents and any local businesses in the Parish, and in being closely involved in the life of the community and its future development. Sally was co-opted in November 2017. Valerie was co-opted in June 2015, and elected as Chair in May 2018. Married to Cliff with one son and two step children. We have lived in Devon for 32 years and in East Budleigh since 1997. I have worked in various large schools, state and private, and also worked for EDDC as presiding officer for elections etc. I joined the parish council as clerk in 2006 and was very much plunged in at the deep end! The accounting system had to be reorganised and the first few months were a bit of a struggle! I thoroughly enjoy my work with the parish council and find the involvement with councillors and village life stimulating and lots of fun! Mike Smith is 65 years old and has lived in East Budleigh since 2000. He was born in the Midlands, mainly working in the motor industry. When he moved to Exmouth 30 years ago, he set up his own small garage. He has also been a postman for a short while. "I love the village I live in, and find it very rewarding being on the Parish Council". Mike is your contact for matters concerning Planning and also Recreation. I was born in the colliery village of Thurcroft in South Yorkshire and graduated from Birmingham University in 1973. My early career was in technical and contract management, spending 21 years working for NCB/British Coal. This career brought me to Exeter in 1991. I relocated from Nottinghamshire to Hazel Court in Kersbrook (at the boundary edge of the Parish), with my late partner Sandra Smith (who died in 2006 and is buried in the East Budleigh graveyard.) We came to love this part of East Devon and acted as a host family for mature students coming to the Accent language school at Bicton College. After my corporate days I retrained at Bicton as a horticulturist and I was involved in the Walled Kitchen garden restoration at NT Knightshayes for its first 5 years. In retirement, I have served as a Trustee for the Devon Gardens Trust (for 3 terms of three years). The latter was as Chairman of the Conservation Committee and overseeing their role as a statutory consultee on planning maters. As a past member of the NP working group I feel it is important that the PC uphold the policies expressed therein. I am particularly keen on the importance of education (at all levels and time of life), the future of Bicton College and young gardeners, as well as the historic landscape of the Parish. Derek was brought up on a farm in Gittisham and started work in the very early days of IT in Exeter. This career path led him to various parts of the UK and abroad - working on contract to the EU. 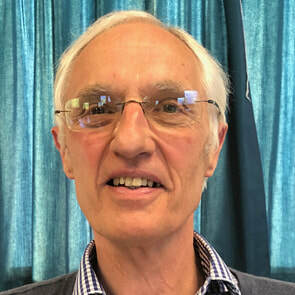 He eventually returned to the West Country and worked exclusively in Local Government at senior and director level being responsible for many support areas including property, IT, procurement, fleet, finance, legal (contracts) and project management. ​After 27 years living in Exmouth, Derek retired with his wife Lesley to East Budleigh in 2014. Lesley is involved with the community shop and Derek wishes to work with fellow members of the Council as a cohesive team in supporting the parish in the professional, ethical and fully accountable manner that the people and many volunteers of this super parish deserve.